Scorsese burst onto the global movie scene in 1973 with a little drama called Mean Streets. He’d made some short films and a couple of feature length projects had gotten small releases but Mean Streets launched Scorsese’s brand of gritty films around the world and started one of cinemas truly great collaborations, the one with that De Niro fella. Of course on a day when you’re celebrating the work of cinemas all time masters you have to mention the De Niro projects and now I’ve done that I’m going to totally ignore it and talk about a collaboration that I rank at the very top of director/actor team ups. The Martin Scorsese and Leonardo DiCaprio one. 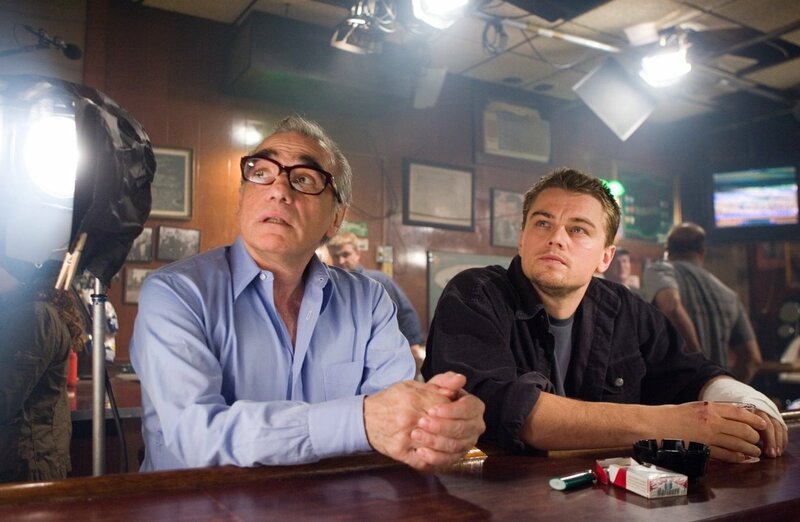 My admiration for Scorsese and his back catalogue is as high as anyone’s but I’m firm in my belief that his best work has been his later work and it coincided with his team up with DiCaprio who has to go down as my generation's best actor who has arguably no weaknesses in his talent. From violence and gangs in American Civil War era New York, to Leo’s passion project about Howard Hughes, to Boston corruption and that elusive Direction Oscar, to the psychological prison landscape to the utter debauchary of Wall Street there is five highly watchable, technically top drawer, expertly performed films that stand head and shoulders above anybody else’s output. Gangs of New York with its expertly constructed sets and arguably Daniel Day Lewis’ career best acting turn is the gift that keeps on giving. Every rewatch leads me to discover slight and small things I missed previously, and just watching a young Leo face off against one of the best actors to grace cinema is a joyful experience. The Aviator is the project that cemented my beliefs about DiCaprio and Scorsese. Leonardo DiCaprio has travelled the country on his own dime for years meeting with people who knew Hughes, or were specialists in Hughes. It was DiCaprio’s mission in life to make The Aviator and had been trying for seven years, nearly going into production with Michael Mann (what would that version have played like?) but when Mann dropped out DiCaprio asked Scorsese who took some convincing. 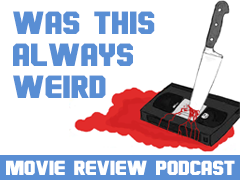 It’s the first time I remember watching a Martin Scorsese film that didn’t have some kind of familiarity to it. It wasn’t gang/mob/violence/New York specific. 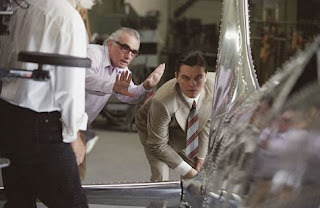 It was grand, opulent and glossy almost opposite in look and style to anything Scorsese had done before but with a genius filmmaker and a passionate star at the wheel The Aviator made biopics popular, successful and fashionable which boded well for DiCaprio who excels playing real life people. The Departed was next and Scorsese finally getting the award from The Academy for his work in film direction. I remember reading many opinions at the time that Scorsese only won because The Academy should have rewarded him years before but quite honestly that insults a fantastic film that is more than worthy of awards. The Departed screenwriter William Monahan’s remake of Internal Affairs demanded a stellar cast and a top director. Scorsese, who refused to watch the Asian original until after they’d finished production so as not to steal anything, is a master at ensembles and The Departed is possibly the biggest star power ensemble on screen to that date. DiCaprio, Wahlberg, Damon, Sheen, Winstone, Nicholson, Farmiga, one of the good Baldwin’s, is a lot of talent fighting to shine and outshine and could have gone horribly wrong but with Scorsese driving them they all produced some of their best work to that date. Oscar worthy indeed. Shutter Island was a masterpiece, I’m not sure I can add more to the words I wrote in my review but if you haven’t seen it you really must! Which leads us nicely to the last collaboration between two of my favourite people in the film industry, The Wolf of Wall Street. This film took some making with Scorsese walking away at one point due to a studio executive wanting them to dial it back. Eventually outside finance was found and the film Scorsese and DiCaprio wanted to make was released on a world probably not ready to see Jonah Hill on Qualudes. The fact that recently DiCaprio had to testify in court about the finance that was found perhaps being from ill gotten gains just adds to the level of drama and comedy that Scorsese and DiCaprio managed to capture. Coming soon from Scorsese is The Irishman which will see him reteam with Robert De Niro, I’m excited and you should be too. Can De Niro get back some of the consistency lacking in his last few decades as an actor? 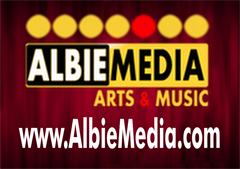 Will Al Pacino remember how to play Al Pacino? And what will Scorsese’s first collaboration with Pacino bring? As excited as I am for The Irishman though it’s three more projects with Leonardo DiCaprio that have whet my appetite. The development of The Devil in the White City based on Erik Larson's nonfiction book, set against the backdrop of the 1893 Chicago World's Fair, which tells the intertwining stories of fair architect Daniel H. Burnham and serial killer H.H. Holmes, who used a hotel he built near the fairgrounds to lure his victims is a film that sounds like its being made just for me. There is also David Grann’s novel Killers of the Flower Moon being adapted in which Members of the Osage tribe in the United States are murdered under mysterious circumstances in the 1920s sparking a major F.B.I. investigation involving J. Edgar Hoover. Whether DiCaprio is taking on the role of J. Edgar again is yet to be seen but the concept intrigues. And finally the one I’m most excited for due to my weird obsession as a Brit with American political figures - Roosevelt with Leo playing the titular Theodore Roosevelt, President just as the 20th century was starting and a fascinating era in history. However you enjoy your Scorsese you aren’t wrong. Martin Scorsese is a brilliant filmmaker. If staying in his earlier De Niro phase is your pleasure so be it, they are truly wonderful films but I’m staying in his DiCaprio era and just marvelling at all the magnificence that team up produces.